Meeting a ROAR (Rover on a Retractable), can be a nightmare for other people walking their dogs, especially DINOS. ROARs are often 10-15 feet away from their owners and this makes it difficult for us to step aside and let them pass without our dogs interacting. From a distance it’s super hard to determine if the incoming dog is on a retractable or off-leash all together. I’m not a big fan. My own personal experience with retractables varies from just fine to pretty awful. I walk some small dogs on retractables and I have no problem keeping my tiny DINOS close, I lock the leash when we pass others and I let them roam when we’re alone. I do my best to use the leash correctly and follow common sense dog walking etiquette, the same as I would with a flat leash. But, I’ve also had really bad experiences with them. I’ve burned my hand trying to grab at the leash when the braking mechanism failed. And worse, my fear reactive DINOS, Boogie, was attacked by a ROAR. Picture this: there we were strolling on the sidewalk, when a very large dog, standing in his driveway on a retractable, began to chase us. The weight of the dog running at full speed snapped the bulky handle right out of his surprised owner’s hand. The dog ran towards us, bulky handle scraping on the sidewalk, making a terrible noise. He jumped on top of Boogie, biting him on the head. Boogie didn’t fight back, but he did curse at the other dog pretty loudly. The man who owned the large dog was afraid to step in and help me because he had another dog, also on a retractable, and didn’t want to drag that dog into the chaos. It took a third person to step in and get the dog off of Boogie. Would this have happened if the dog had been on a flat leash? Maybe, but I honestly doubt it. It was the force of the big dog hitting the end of the line at a full sprint that snapped the huge plastic handle out of his owner’s hands. It was the crazy sound of the handle crashing behind him that amped the dogs up even more. It was the lack of a flat leash to step on, to safely pull his dog away, that kept the tussle going because there was nothing to grab onto (the giant handle was left dangling a foot or so off the attacking dog’s neck). Do I think retractables should be banned? Nope. Do I think they have a place and that place isn’t highly populated areas? Yep. In addition to the control issues, the problem is that, no matter how skilled you are at using them the equipment is known to fail. I’ve worked in pet stores and seen them returned, over and over again, for snapping. I’ve had the breaking mechanism fail on me. And that’s why Consumer Reports wrote that delightful article on finger amputations. But these leashes aren’t going anywhere, so in the interest of exploring the more (and less) responsible methods of using retractables, I’ve compiled a DO and DON’T list (available as a pdf, minus this whole intro, for easy printing). DO: Be aware that retractable leashes have a reputation for breaking, snapping, and otherwise failing. DON’T: Let your dog’s retractable get tangled around another dog’s body. The friction from the moving tape or string can cause serious injuries. DO: Lock your leash to 6 feet or less while walking your dog in public around other dogs and/or people (not all people want to be approached by your dog). DO: Use them in unpopulated areas, such as the woods or your own back yard. DON’T: Use them with a gentle leader or other training tools. The point of those tools are generally to teach your dog not to pull, to engage with you, or for better control. It’s a confusing message to a dog to be on both a retractable and a head harness or corrective collar at the same time. DO: Purchase the best quality retractable you can afford. Typically the tape ones are stronger than the string ones. DON’T: Expect to teach your dog to stop pulling while using these. Your dog is enjoying pulling ahead and wandering off. 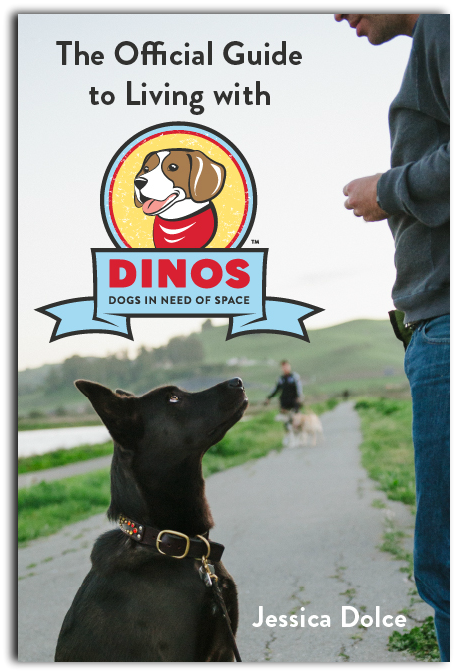 DO: Work on your dog’s recall at other times, so that you’re not just relying on the leash to gather your dog back. DO: Be aware that those bulky handles are difficult to hold on to if your dog hits the end of the line at full speed. 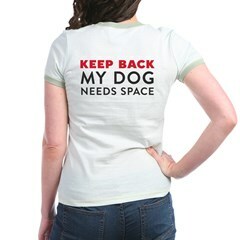 DON’T: Let your dog wander off while in public places like the pet store or at the vet’s office. If your dog can walk away from you, into another aisle or across a room, the point of using a leash (for management) has been defeated. 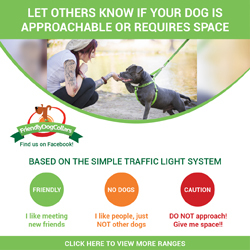 DO: Consider them a potentially useful tool for environmentally fearful dogs, dogs that are semi-feral with humans, or other dogs that may need some extra space while they are building confidence. DON’T: Drop the leash, especially if you’re working with a fearful dog. The bulky handle “chases” behind them, making a terrible scraping sound on pavement, further terrifying the dog. DO: Be aware that Consumer Reports notes that people have suffered serious injuries, including finger amputations and bad burns from retractable leashes. DON’T: Walk your large reactive dogs on retractables in any place you may encounter their triggers. It only takes a second to miss the opportunity to lock the leash and then you’ve got a thrashing dog, fifteen feet ahead of you. I LOVE our blog sooo much. When are you going to write an article on the BIGWB – the people who always say “But I’m Good With Dogs” whle they insist on petting your dog while your dog is cowering from the scary person who is anything but good with dogs. It’s on my “to write” list : ) Thanks so much for reading! Absolutely! One way to tell someone who’s good with dogs from a BIGWD? If they stop, make themselves as non-threatening as possible, ask permission, and wait for the dog to come to them… they’re probably good with dogs. And they don’t get upset if the dog doesn’t want to meet them. I’m loving all of the discussion that this blog is generating. Looking forward to every new topic! Interesting. How do the big ones act differently than the little ones? Well I’ve had a normal leash and a retractable snap on me. The retractable ones will snap when the dog has taken a run at something (in our case a squirrel) and jerks hard on the lead, this is why I NEVER have mine unlocked when near a road. For my high chase drive spaniel the retractable lead is a god send. A long line type lead is just a constant pain of tangles round trees and bushes and wet, muddy hands. Or what happened one horrible day my mother being carted off to hospital with a broken wrist and bruised hip. The retractable means she can have some freedom but can still interact with off lead dogs without ‘restriction’ (she is also other dog reactive when on lead) but can still be brought back to me quickly if we meet another on lead dog. I suppose as with most things it’s the owner that is the problem not the equipment! As an older woman with arthritic hands, I dislike the 6 foot leads because they squash my knuckles and yank my wrist if the dog I’m walking with takes off in a different direction. However, I can comfortably hold the retractable with no pain at all. I’ve successfully used retractables when initially teaching my dogs about using a leash. Because most of my dogs were from shelters or pounds they were often lead shy or totally lead ignorant and would panic if asked to walk with one on. I found if they were allowed a little leeway on the lead it gave me a moment to get the juicy treat out of a bag before they became a strangling, whirling dervish at the end of a 6 foot lead. The juicy treat (usually chunks of fresh chicken breast) given as a reward for being on a lead meant they were happy to walk by my side a few feet further (and so on and so on) until they were VERY happy to walk there all the time. However, it had never occured to me that other dogs and dog owners would view the retractables with alarm. As a result i shall go buy a 6 foot lead tomorrow for my present dog. She is a little chihuahua who is now lead trained so I no longer need to use the retractable. There will be no pain because she doesn’t pull on the lead. I’d like to use this forum to apologise to all the DINOS and DINOs owners whose walks have been made difficult by my use of a retractable. I’s also like to thank you for giving me so much more knowledge about dogs. They really are the BEST creatures and deserve so much more from the human race. Hi Tez, thanks so much for reading! I think that the way you’re using the retractable sounds very responsible and it clearly helps both your dogs and your comfort. No need to get a new leash, if that’s what works for you! I think the problem comes when dogs are allowed to wander away and get close to other dogs that might be DINOS, but if you lock the leash to a 6 ft length, when you’re near other dogs, it can be as good as a flat lead. No need to apologize, though your empathy is much appreciated. The dogs are lucky to have you in their corner – You’re a gem! Very well written article. Covers all sides and concerns. Thanks! I use a retractable for my 45 lb reactive dog when we hike in the woods, so he has a little more room to sniff, run, and pounce on lizards. I always carry his regular 6′ leather leash with me in case of emergency, one end looped through the handle of the retractable and the other around my waist or neck and shoulder. I can lock the leash and let it go for a moment when I need both hands for something, and I never have to worry about dropping that big plastic handle. I was in the pet store with my guide dog puppy when suddenly there was a huge golden in my puppy’s face, 30 foot flexi line leading around the corner to a clueless owner. Flexi leashes are wonderful in the correct time and place but inside a store where you’re nearly guaranteed interaction with other dogs is just a little irresponsible. I felt badly because the woman was very friendly when she finally walked around the corner and I was too irritated and snapped at her. Maybe she will at least lock the flexi the next time. I have almost always used a retractable leash but I lock it at a short length when doggie and I are in a crowd. I have found it handy for high energy dogs (beagles, Jack Russells). I found it was a good idea to mark the retractable leash at around 5 feet from the end (use “white out”) so that you know when you are about to reach the end of the leash. That way if puppy is running, you can apply the lock before you get to the end and you aren’t surprised by having the leash snap out unexpectedly. This also makes the leash last longer as the internal spring in the handle doesn’t break from being fully extended. I have just started reading your blog and I know this is an older post, but it’s the one that got me here. I am a first time dog owner after 20+ years of suffering from dog phobia. I started attending obedience classes with him when he was 12 weeks old and until he was a year, he was the best dog. Now his hormones get the better of him often. The retractable leash has been a gift from heaven for me. I’m a small person and he dragged on the flat leash to the point where I could not hold him anymore. And since he doesn’t come back reliably when unleashed I don’t dare to let him sniff and roam anymore. Walks became a nightmare that we both dreaded which in turn affected our entire relationship. With the retractable leash he now has more room to walk ahead or stay back and sniff. The 15 ft the leash allow are obviously enough because he stopped pulling the leash from the second we used it. Yet the RL gives me a feeling of being in control. I haven’t had an issue with him running off and hitting the end of the leash full speed yet, because I’m always paying extra attention to other dogs and make sure he comes back to me in time where I can lock the break or change to a flat leash. We are still attending obedience classes and I hope he’ll settle down once he made it through puberty but until then I’m thankful for the RL to have brought ease and harmony back to our daily walks.